Meizu has come back for a second round with an Ubuntu-edition smartphone. The company has released the Meizu Pro 5  as a new Ubuntu edition of its Android smartphone, just like it did with its predecessor, the Meizu MX4 Ubuntu Edition. 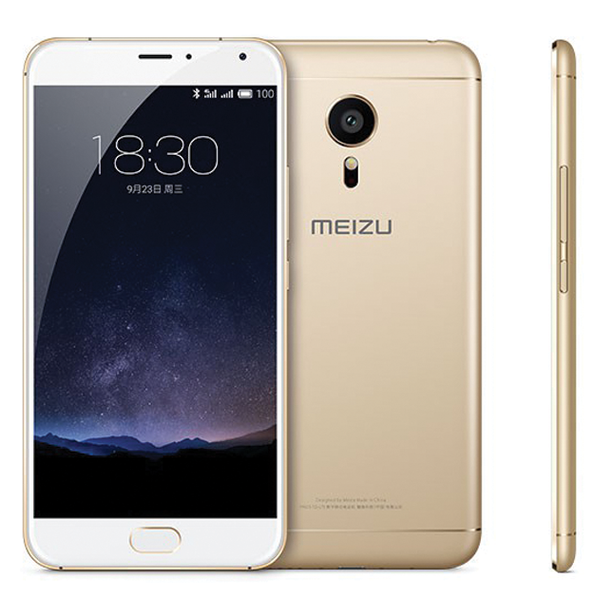 The appearance of the new phone raises a big question: Has Meizu learned from its mistakes with the MX4? The workmanship on the Pro 5 is excellent and absolutely exceptional for a device in this price category. The case is of a high quality, robust aluminum. At either end, plastic caps finish off where the antenna appear to be located. The camera lens extends out a good bit. The SIM card slot is located on the left edge, with volume controls and the power button located on the right side. Generally, everything looks great. The Pro 5 feels good to hold. The SIM card tray can accommodate either a SIM card and an SD card or two SIM cards. While the Pro 5 with Android comes in various colors, the Pro 5 Ubuntu Edition is only available in red-gold. Whether a user finds this particular color pleasing is a matter of individual taste (Figure 1). Figure 1: The Meizu Pro 5 running Meizu's skinned version of Android, Flyme OS. The Pro 5 comes with a larger 24W USB charging adapter and a USB Type C cable. Ear buds are not included. The Pro 5 is the first Ubuntu phone that offers a contemporary USB Type C connector. Unfortunately, the only way to access the fast 32GB internal device memory was with USB 2.0, which is somewhat disappointing. Nonetheless, I was able to transfer images and videos from the device memory via a USB 3.0 port to a PC at a rate of 20MBps. The battery is a fixed component of the device and therefore, as with many modern smartphones, impossible to replace. Meizu operates the Pro 5 with the mCharge 2.0 charging technology, which should restore 65 percent of the battery capacity within just 30 minutes. To find out more about this feature, I let the device discharge completely and then connected it to the charging adapter that was included with the phone. After about 30 minutes, the Pro 5 had charged an impressive 58 percent, getting very warm in the process. I had good results running the phone off of the powerful battery for a day and a half. The sound from the 3.5mm earphone jack is as excellent as the sound from the MX4 when suitable earphones are used. Rich bass tones and clear high tones are part of the experience. The user looking for superior audio for listening to music and watching videos will find complete satisfaction. Speech quality is also excellent. The raised metal framing and the slightly rounded Corning Gorilla Glass 3 on the huge 5.7 inch display are especially well implemented. The rounded frame is well conceived since the phone is operated via swipe gestures at the edges (Figure 2). This is a change from the metal frame found on the MX4. There may be truth to the thought that the design is similar to a design used by a certain company in Cupertino. Probably that other design served as an inspiration instead of the ergonomics for the Linux operating system. Figure 2: Ubuntu Touch's lockscreen on the Pro 5. In spite of all its many positive qualities, the size of this smartphone makes single-handed operation difficult, for example, in situations where the user holds the phone in the right hand and has to stretch the thumb in order to swipe/gesture from the left side. It is hard to hold the phone in one hand even for a user whose hands are large. The AMOLED display is crisp and sharp with its 1920x1080 resolution. However, with its approximate 386ppi, it lags behind smartphones like the Apple iPhone 6 Plus with 401ppi and the Samsung Galaxy S7 with its fantastic 577ppi due to the size. Even so, the phone makes a convincing impression. The display is bright and it produces vibrant colors. Since the camera lens is located on the back side of the phone and pokes out a good 2mm, it is not possible to lay the Pro 5 completely flat (Figure 3). The user gets rewarded for this little peculiarity by truly sharp images and 21Mpx resolution. Images also turn out well in bad lighting conditions thanks to the combined flash. The autofocus is fast and reliable. A downside is that the hardware records videos in 4K, but the Ubuntu camera app does not offer this as an option. Instead, the maximum is 1080p. Figure 3: The Pro 5 is a very thin phone, despite the camera hump. The innards consist of an Exynos Octa 7420 in tandem with ARM big.LITTLE, which combines four higher clocked computing cores with four lower clocked cores. This setup is accompanied by a lush 3GB RAM and a Mali T760 GPU. The Exynos 7420 is one of the first systems on a chip to be manufactured with a 14nm Low-Power Early (LPE) processor with Fin Field Effect Transistors (FinFETs). This results in a compact size and reduced power consumption that nonetheless delivers increased computing performance. The processor is otherwise used for devices like the Samsung Galaxy Note 5 or the Samsung Galaxy S6, but these phones compete in a higher price range. Almost immediately after starting the Ubuntu phone and connecting to WiFi, I found system updates waiting to be installed. I agreed, and in spite of the ominous flickering of the installation screen that goes on for about a minute, the installation completed without any problems. When swiping through the menus, I noticed that animations can be jerky in spite of the enormous computing power. There is still only one pre-installed background image to choose from, but the user can set up additional images on their own. Because this smartphone comes without a Micro HDMI slot, I first assumed that the convergence mode introduced with the Ubuntu tablet Aquaris M10 Ubuntu Edition would not be useable. However, the most recent update has made it possible to generate a wireless connection via Miracast between the Ubuntu phone and a display. I tried this out with a Miracast-capable LG Smart TV. The devices recognized one another immediately over the local network, but the connection did not want to work at first. I restarted the Pro 5 one time. Even so, it recognized a Pro 5 Ubuntu instead of the Ubuntu phablet. Because the connection broke up repeatedly due to unknown errors, I tried to connect via Chromecast, but I couldn't work out how to do this. Meizu's decision to offer the Pro 5 Ubuntu Edition exclusively on the Chinese online shop joybuy.com is somewhat annoying. The shop software is replete with errors; it refused to accept a delivery address in Germany until I completed registration with the shop and then placed an order by clicking around the site for several long minutes. After completing the order process, the order itself got stuck for weeks on end in delivery mode. There was no message to inform of delivery status and no updates either. The Ubuntu Phone still comes across in many ways like a half-baked cookie. The lightweight and powerful Pro 5 should actually be flying high, but it is not due to poor adaptations on the software side. However, the user still gets value for money for the $370 price tag. Everything except the operating system is of absolutely top quality for this price category. Jacob Dawid supports and actively develops free software. During his day job, he designs software at 9elements, developing web applications and native apps for all platforms. At this year's Consumer Electronics Show, Canonical showed Ubuntu on a smartphone for the first time. Does this concept have a future?